I am back after a week’s Sabbath from blogging. I spent last week at a VBS. We used a handprint in one of the crafts. We were making sheep because our theme was The Lord is Our Shepherd. Using the same idea I created a turtle. Fill a pie plate or other suitable container with paint. I used green. Press down to ensure all the paint is on the paper. Lift off carefully. 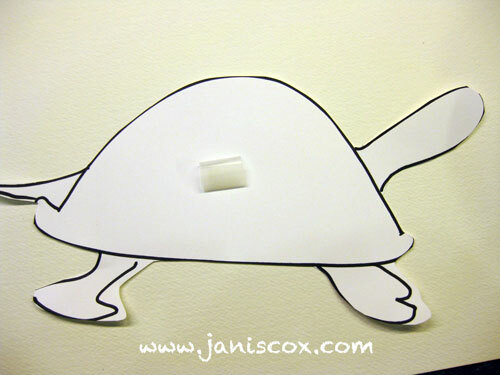 Now you can make your turtle. I used pistachio shells to decorate the turtle’s shell. I enlarged the head a bit; put some toes on his feet and added a tail. You can use sparkles, stickers, cut paper, feathers, or anything else. Then I make a background around him. You could do this first as well. 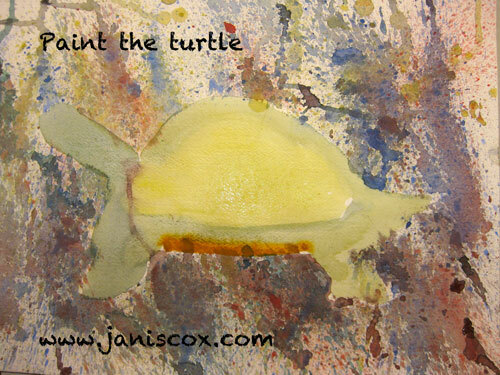 This entry was posted in Creative Saturdays and tagged Crafts, creative, Creativity, handpainting, handprint, Janis Cox, paint, Tadeo Turtle, turtle on July 20, 2013 by JanisCox. 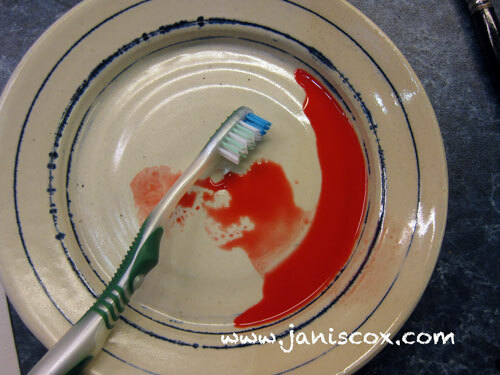 Today I would like to show you how to make a painting using a toothbrush. 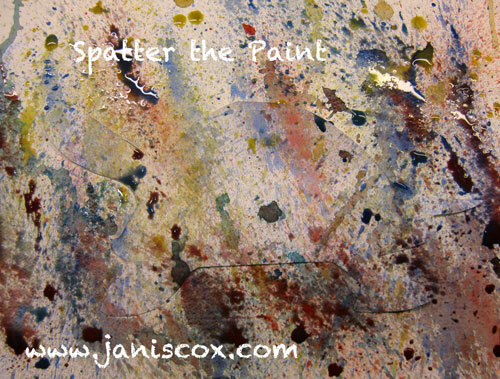 Another term for this is spatter painting. 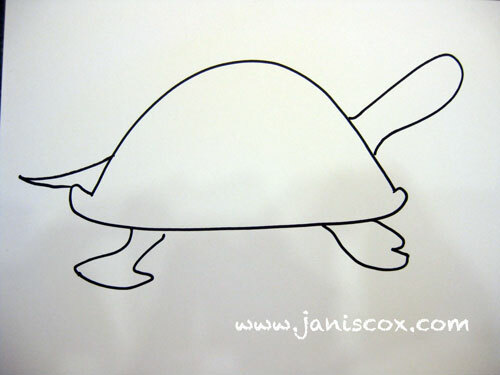 Draw your object – I chose a turtle. 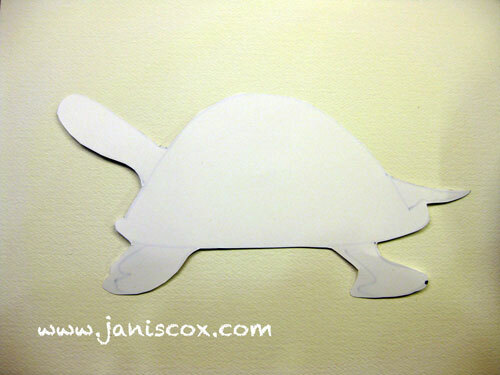 Cut out the object and place it on a piece of paper. Mix up your paint. Stick with the three primary colours: blue, yellow and red. Tape the object to the paper. Using a toothbrush spray the paint onto the paper. 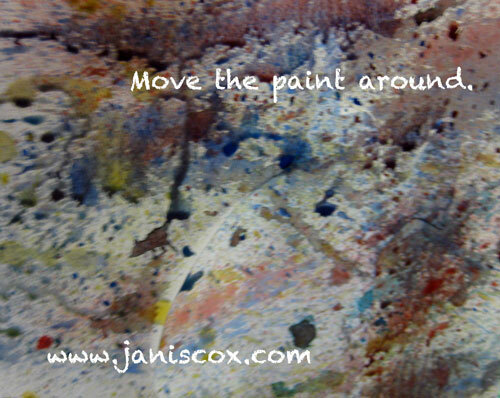 Move the paint around. 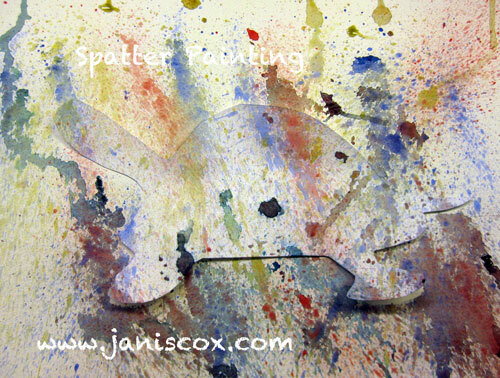 Twist the paper in all directions – any wet paint will run to make interesting patterns. When you are finished take off the stencil. At this point you can leave the stencil as is or you can paint it. I chose to paint it. 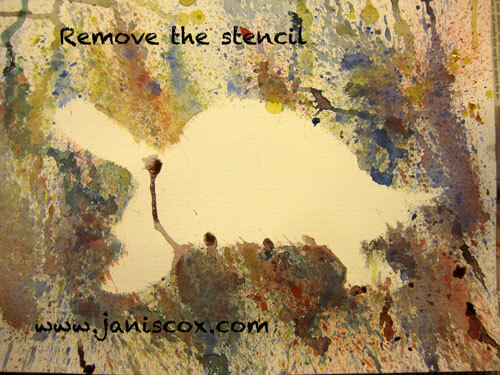 As you can see I did not have the stencil firmly in place. If you want crisp lines ensure that the stencil is tacked down better than I did. 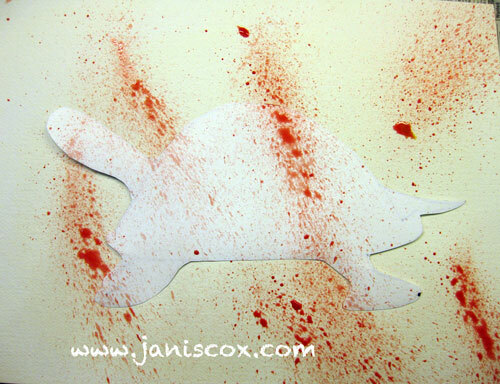 This entry was posted in Creative Saturdays and tagged craft, Crafts, creative, Janis Cox, paint, spatter painting, toothbrush, turtle, watercolour on July 6, 2013 by JanisCox. Picture is courtesy of Bill Weaver. This picture of a columbine and other pictures can be found on Bill Weaver Flickr. This Scripture from Ephesians has become a very powerful Scripture in my life. There are so many times that I say to myself, “I can’t do this”. But then I remember that I am not doing it – He is. Whenever I feel like I won’t have an idea in my head – He does. Whenever I feel I can’t learn another social media task; a self-hosted plugin; a marketing tool, I remember that if God wants me to know this He will show me the way. I can imagine and dream all that I want. If what I am dreaming is in God’s will then all will come true. I see my imagination growing as I continue to try new art projects, as I look around me at nature and as I look at all that God is doing around me. Imagine that! God is at work in our world. We only need to look for it. 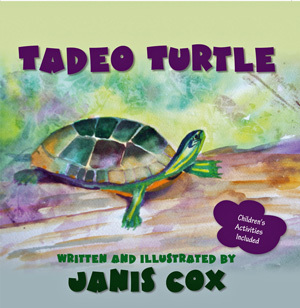 Tadeo Turtle was a dream that became a reality. 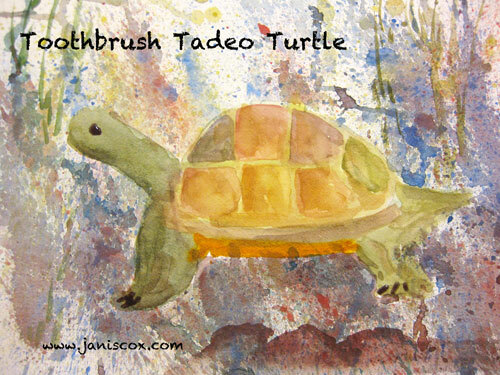 I speak about how Tadeo came to be on an interview at Christian Homeschool Moms. God wants us to dream dreams; to seek beyond ourselves; to reach out and try things that others say might be impossible. Because God is the God of the impossible. Jesus replied, “What is impossible with man is possible with God (Luke 18:27, NIV). I challenge anyone who has a dream – to dream big and ask God into your dreams. What dreams do you have? Please comment and I will pray for your dreams. 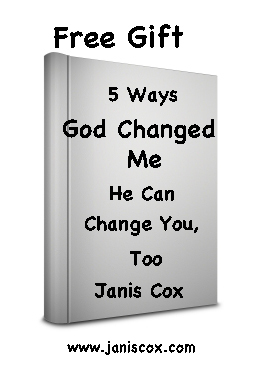 This entry was posted in Prayer and tagged art, creative, dreams, imagine, impossible, Janis Cox, possible, Scripture on May 31, 2013 by JanisCox.